Theater Arts major Christopher Belanger graduated from Castleton with all the tools needed to be successful in his desired field. From the endless opportunities he received while on campus, to the overwhelming support and mentorship from his department faculty, he left the University confident in his abilities. “The faculty really care about their students and will do anything to help a student succeed,” Belanger said. During his time at Castleton, Belanger was recognized for his excellence in theater lighting as he was awarded the Stagecraft Institute of Las Vegas Award at the Kennedy Center American College Theatre Festival in 2014. He was one of five recipients from across New England to be recognized for the award, which included a one-week internship at the Stagecraft Institute of Las Vegas. “It was fantastic as a designer to be recognized for my work,” he said. Belanger currently uses his theater skills everyday as the Assistant Carpenter and Head of the Deck for the National Broadway Tour of Annie produced by Troika Entertainment. 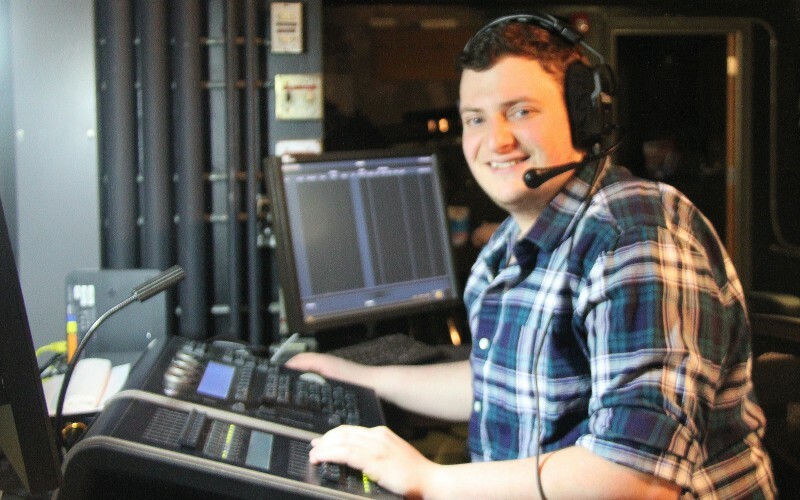 He was able to recently utilize his experience in technical theater and design by coming back to Castleton for the start of the 2015-2016 year to design lights for the first master's show of the year.